Are You Still Fooled By These Common Medical Marijuana Myths? There is no doubt at all that medical marijuana is now more popular than it has ever been. Everyone wants to go for it. That can be understood because good health is after all, a good thing. What’s more, no one wants long treatment procedures that can leave one susceptible to side effects. Unfortunately, there are several myths and misconceptions about medical marijuana. People don’t understand how tetrahydrocannabinol, the chemical compound in marijuana works. Read on to find out more about other medical marijuana myths and the truth about them. •	Myth – Use of medical marijuana can be extremely addictive. Continued used can cause withdrawal symptoms. Fact: Canada has just a handful of medical marijuana users than the US. Strangely, studies indicate that not even 1% of medical marijuana users in both countries are addicted to marijuana. It gets better with the fact that even users who constantly overdose do not at any point experience withdrawal symptoms. •	Myth – Marijuana intake can easily lead to permanent brain disorders and mental illnesses. Intake, even in small doses can lead to psychological disorders especially in children. Fact: Marijuana intake can lead to paranoia, anxiety, panic and bouts of hallucinations. There is no evidence however that it marijuana intake can lead to permanent brain damage. That is in fact, one of the main reasons why marijuana is gaining popularity in the medical field. The only downside with marijuana overdose is the fact that one can easily suffer from toxic psychosis, which is a temporary condition. •	Myth – Today’s marijuana is more potent than the 60s’ and 70s’ marijuana. It has become more dangerous, addictive and potent over the years. Fact – Plants don’t evolve. It is therefore safe to state that marijuana has not undergone changes in its properties as some people suggest. Most samples that are often seized by drug enforcement agencies and authorities in most jurisdictions around the world do not represent the marijuana used for medical reasons. •	Myth – No one gets arrested for violating marijuana usage laws. Strict action is not taken against offenders because the drug is now legal. Fact – Marijuana is not legal in Canada as well as in most other countries. There are laws however n several jurisdictions around the world that premise people to use marijuana for medical reasons. It is worth noting that around 85% of offenders charged with drug possession were arrested with marijuana. •	Myth – Medical marijuana can cause emphysema, bronchitis and lung cancer. It can also aggravate asthma and pulmonary edema. Fact – Contrary to popular belief, marijuana does not cause lung cancer. This was revealed in a paper presented to the American Thoracic society way back in 2006. The paper was backed by a series of studies conducted in different parts of the world. To date, nearly all medical practitioners agree with the findings. Medical marijuana is in fact used to treat several respiratory conditions as it clears the bronchi and other air passages. •	Myth – Marijuana in any form is bad for cancer patients. Fact – The exact opposite is true. Marijuana is used to treat nauseas that cancer and AIDs patients often experience after chemotherapy. It doesn’t end there. Medical marijuana is also used to reduce muscle spasticity in patients who suffer from neurological disorders. Its effectiveness in treating thee conditions can be attributed to the fact that medical marijuana is mostly ingested as smoke which more effective than drugs swallowed to treat the same conditions. •	Myth – Marijuana is a gateway drug. Continued use can induce the intake of dangerous drugs like heroin, cocaine and LSD. Fact – The aforementioned myth stems from statistical and fragile assumption between the usage of uncommon and common drugs amongst young people. Factual statistics indicate that most people who use medical marijuana today and their counterparts who seek to apply for medical marijuana cards have never used other illegal drugs. •	Myth – Intake of medical marijuana can induce apathetic behavior and make its users passive. It can also lower productivity in work and grades at school. Fact – Research studies conducted to find out if there is a link between use f medical marijuana and apathetic behavior in people have not yielded positive results. The drug has nothing to do with apathetic behavior, low productivity or low grades. It should however be noted that expectant women are discouraged from using marijuana in any form. Intake can hard the unborn child and lead to development problem which can in turn lead to low performance at school. 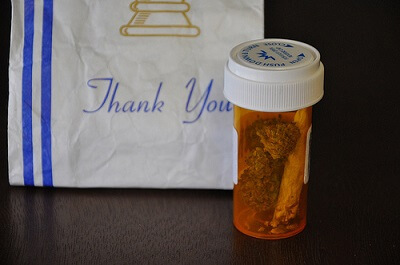 Misconceptions and myths prevent people from understanding how medical marijuana works. Most of the myths listed above develop from either apathy or ignorance. Don’t be misled by such misconceptions or discouraged by them to seek medical marijuana treatment. Talk to your health care provider and find out how marijuana can help you attain health and wellness. In other words, be an informed medical marijuana user.